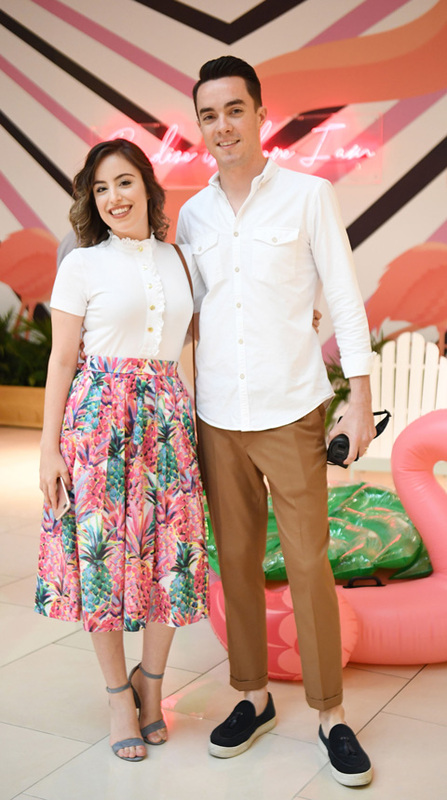 More than two dozen South Florida based influencers recently visited Aventura Mall to celebrate nature’s pink-feathered fashionista – the Flamingo – during the unveiling of our flamingo mural wall, located on the lower level near Lush. The two-story mural will be up through September, providing plenty of time for pretty-in-pink photo ops. For those looking to spruce up their social media feeds, we’ve gathered 5 tips to capture the perfect shot at the wall. You might be showing off, but it’s alright! As Liandra (@liandrasalles) knows, good photos are all about the angles. Experiment with several poses and camera positions to find the perfect shot. If you really want to take your picture to new heights, bring a selfie-stick or a tripod. 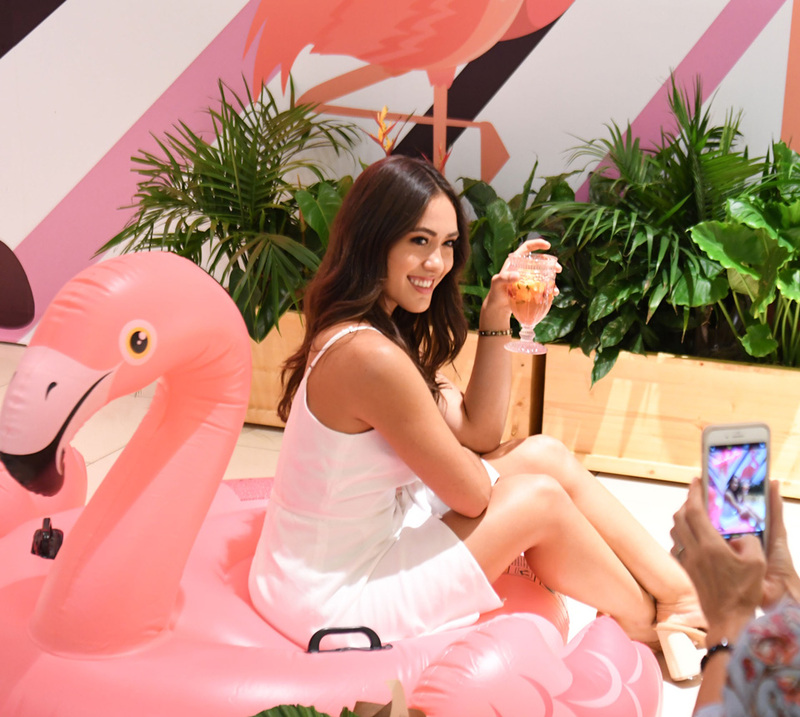 Props bring a fun element to the photo, such as a pool floatie (like Charlotte – @Charvontratt) or a flower bouquet (like Elizabeth @elizabethromerox). Bring some along with you, or pick up something sweet to use at Sugarfina or Lush. Extra points if it’s bright and pink! Flamingos are known for their stand-out, stylish hue. Take inspiration from the fashionable bird and grab your favorite colorful outfits. 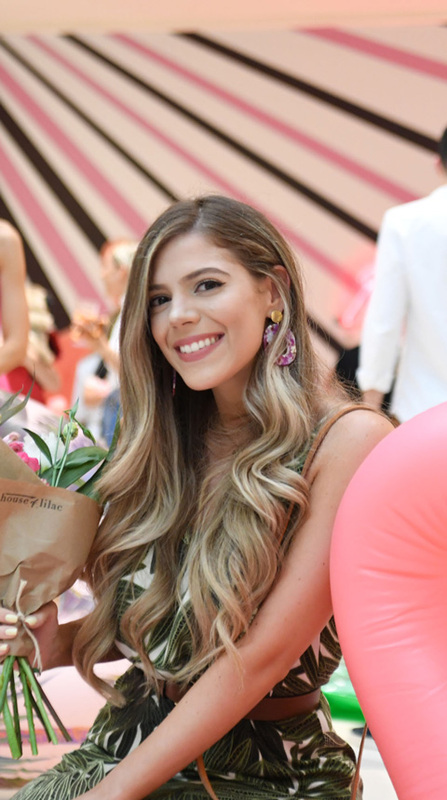 Take notes from fashionistas Carolina (@caroldemauro), Olivia (@HelloOliviaBlog), and Erin (@ErinNicoleBeauty). From bold pink patterns to clean white accessories, the more you stand out the better! Flamingos are known to travel in packs (known as a Flamboyance). Assemble your flock and “flamingle” by the wall. After all, the best photos are taken with your squad. Pro tip: Use #AventuraMall for a chance to be featured on our Instagram page (@AventuraMall)! Can’t get enough of our favorite pink bird? 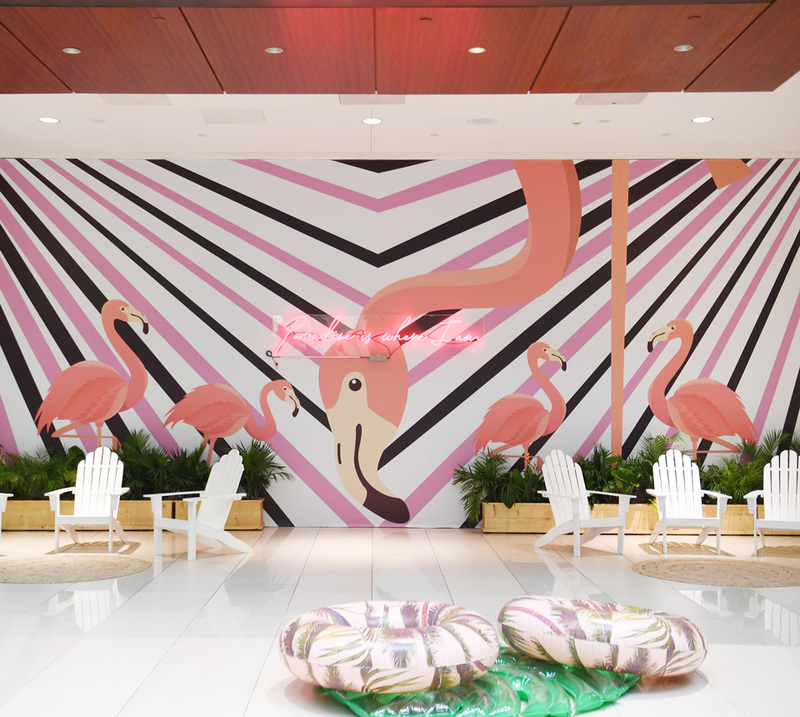 Check out our web story Flaunt it Like a Flamingo.